Following on from the last two posts, this time the focus is on Azure Active Directory Self Service Group Management capabilities. 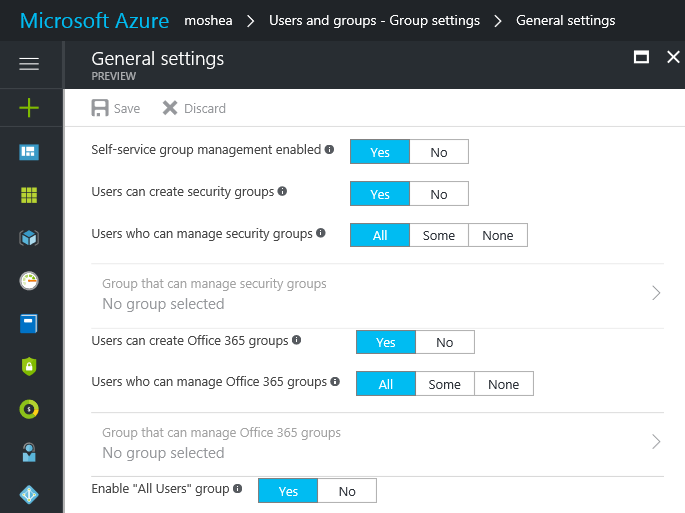 Figure 1: The first step is enabling the Self Service Group Management settings in the Azure Portal, under Directory, Users and Groups – Group settings, General settings. Figure 2: Signed in as Admin, I choose the option to Create Group. Figure 5: Signed in as the user Cloud, they are only a member of four groups. Here I select Join group. Figure 8: I receive notice that the request has been sent. Figure 12: Switching back to the user Cloud, we can see that the Marketing group is now listed. Figure 14: Going back to Apps for the user Cloud, we can see the SaaS apps they have access to. We want to make members of the Marketing group able to use an additional Twitter account we have just added.